Reggae/dancehall newcomer Khago is facing an onslaught from all angles, the latest being Sizzla Kalonji. “Little hurry come up, them mouth them a run up, if them diss Rastafari the whole of them burn up,” Sizzla deejay. According to Kalonji, Khago is nothing but a Rasta imposter, after the singjay revealed that he is not a Rastafarian in an interview last month. “Come a tell the ghetto youths him a no Rasta, after you trick the youths them imposter, where the judgment you go grow your locks for, you make the money and the bling and young girls distract you,” Sizzla deejay. 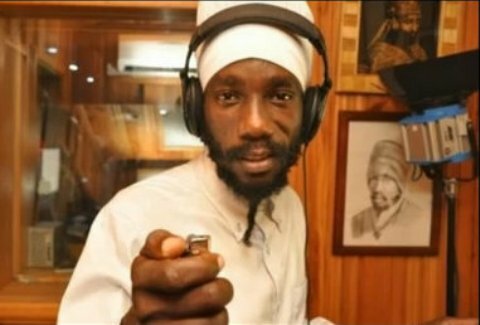 Sizzla also take shots at Natural Black, who recently shocked the Rastafarian community when he cut his locks. “The next one cut him locks, bout him gone a dancehall, no want Rasta blessing, see the vanity and wall all, a gallivant, but wait till him start fall, a straight back to Rasta him ago run and start ball,” Sizzla deejay. Rasta nah imposter blings mislead dem… Rasta live reality. RASTER, S ARE NEVER IMPOSTER, S THEY ONLY TELL THE TRUTH. I KNOW THAT IT’S SENSATIONALISM BUT PEOPLE NEED TO STOP USING HEADLINERS LIKE ”SHOTS FIRE” – RESPONSIBLE JOURNALISM IS GOOD. PLEASE GET IT RIGHT! Adidjaheim Relax bwoy Sizzla tell dem nasty truth. sizzllllllllllllllla shut up your old enough to be called a grandpa. Bun out dem nastyness yes! Damn imposters. A yuh a di boss nun a dem bwoy deh caan tek yuh on nuh day. THEY DESERVE IT RASTA IS RASTA NUH IMPOSTER.